Officials from the Rotary District representing Greater Boston and Southern New Hampshire visited the Rotary Club of Marblehead Harbor recently. In his talk District Governor David Manzi issued a call to action for collaboration among local clubs in the mission of service above self. 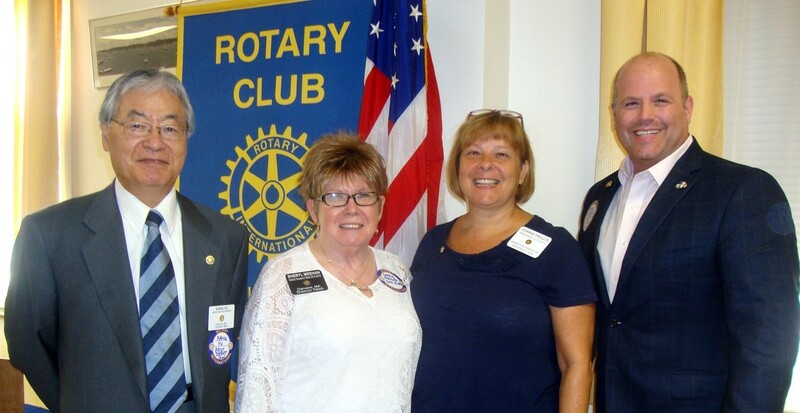 From left to right are: Kang Yu, assistant district governor; Sheryl Meehan, district governor-elect; Connie Paullis, RCOMH president; and David Manzi, Rotary District 7930 district governor.